Pre-order your own copy of Collapse of the Republic at your local retailer or online through our website today with free shipping in the continental United States! Although humans and Zabrak have been born, lived, and died on Dathomir, the truly unique Dathomirians are near-humans who practice a strange blend of magicks and alchemy. Generations of genetic drift and exposure to the planet’s power from the dark side of the Force have created a distinct people and culture focused on self-determination, strength, and discipline. Dathomirians have average characteristics, but due to their rough upbringing, they also receive several ranks in Coercion, Survival, and Outdoorsman. Collapse of the Republic also introduces several new specializations, and offers new takes on classic tropes. For example, the Clone Wars have raged on for years, and Clone Troopers have adapted to new battlefield tactics. In the beginning of the Clone Wars, the Grand Army of the Republic consisted of identical soldiers with training along special parameters: ground combat, air combat, and officer and leadership training. Now, different factors have created slight but profound variations. Three new specializations open themselves up to those who choose to take on the role of a Clone Trooper in Collapse of the Republic. ARC Troopers fulfill the need for small and tactical squads, relying on their peak physical fitness and advanced training to complete their missions. These clones are required to think creatively and independently, are considered the best of the best, and are now available as a specialization tree in Collapse of the Republic. The biogeneticists on Kamino understood that a clone army needs specialized commanders. 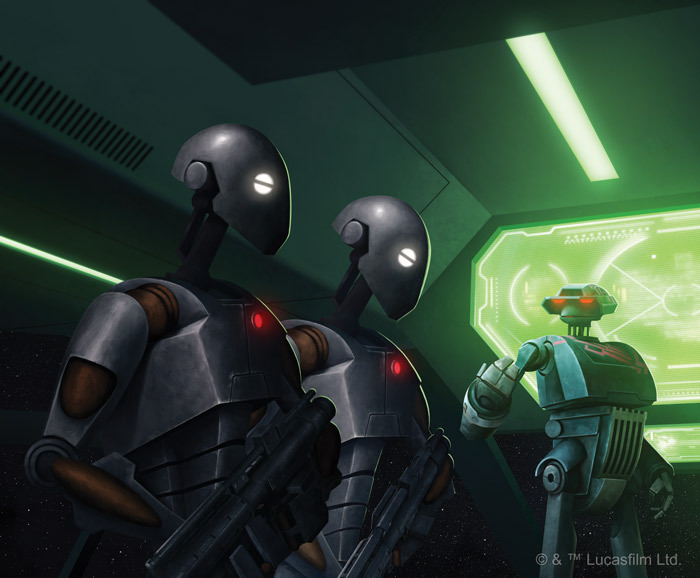 While non-clone commanders could serve the function, the Kaminoans wished to sell a fully staffed military as a whole package and took on the challenge of providing an independent thinker with unwavering loyalty to their buyer. 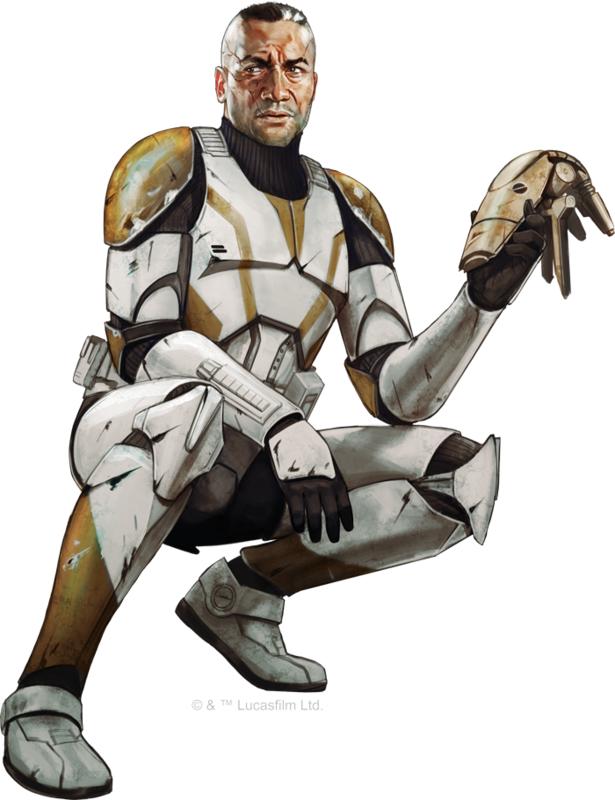 A Clone Commander can come from the soldier’s ranks, having shown a natural ability to command, or can be engineered on Kamino through specialty training. The Jedi lean on these commanders to advise them, enforce discipline, and execute the Jedi’s orders. These Commanders are also a new specialization featured in Collapse of the Republic, inspiring those around them with their exceptional leadership qualities. Cloning, training, mental implants, and programming pale in comparison to field experience. Even the engineers on Kamino and the skeptics in the Republic government can’t deny the skill and talent of a veteran soldier. A training program can’t take into account all the variables of combat, so veterans rely on firsthand knowledge of battle, tactics, and even psychology. Engagement with the enemy means learning about the enemy, and a clone commander or Jedi is wise to ask the counsel of a veteran on any tactical matter. Perhaps your specialization is the Clone Veteran, who relies on their battlefield experience to get them through the quickly escalating Clone Wars. 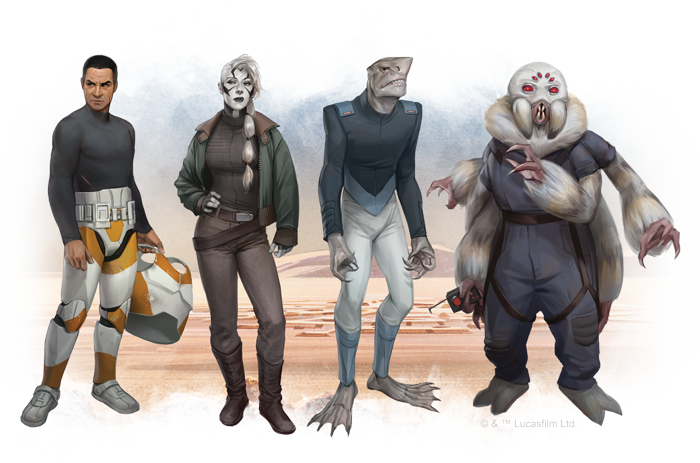 The Game Master also gains plenty of new tools in Collapse of the Republic, including profiles of prolific NPCs from the latter days of the Clone Wars. Though he was originally a slave rescued from Tatooine, Anakin Skywalker has become one of the greatest warriors in the Jedi Order by the time of the Clone Wars. He favors a proactive stance that borders on recklessness, but the clones of Captain Rex’s 501st respect his style of leading from the front. Still, his lack of patience has gotten him injured and even captured many times, requiring his former master Obi-Wan Kenobi to save him. 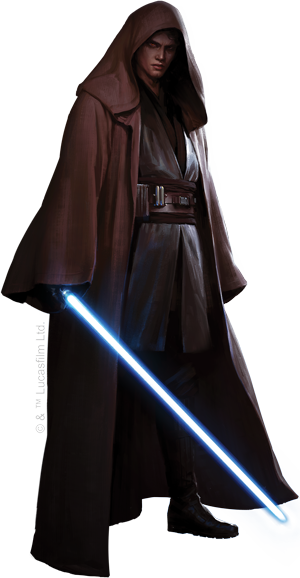 Promoted to Jedi Knight in the wake of the Battle of Geonosis, Skywalker still works closely with his former master, and he is never far from his Padawan, Ahsoka Tano. As the Chosen One, Anakin Skywalker has an acute control over his Force powers and he can provide a boost to other Force-sensitive characters in an encounter, or use his leadership skills to direct a large-scale battle in the Clone Wars! Collapse of the Republic contains more than just player character options and new NPCs. New equipment, world profiles, and more immerse your campaigns in the latter days of the Clone Wars. It is the end of an era—what adventures will you find in the last days of the Republic? 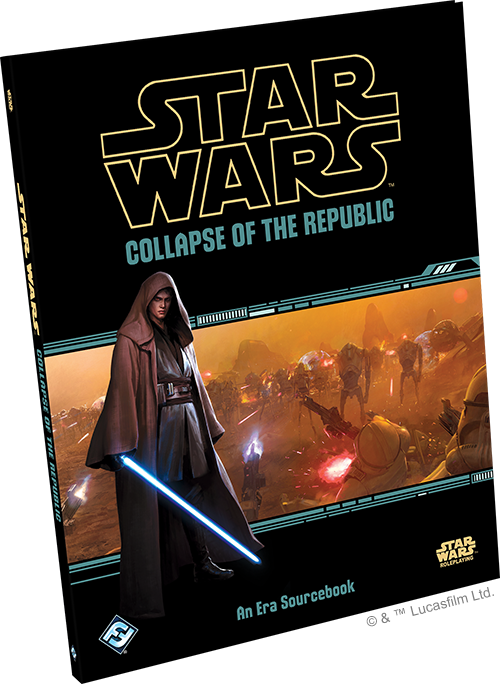 Enter the end of the Clone Wars with the Collapse of the Republic (SWR15) sourcebook , available now for pre-order from your local retailer or our website with free shipping in the continental United States!